Axe Throwing in Bangkok | Axes, Beers, Pizza and a ton of fun ! 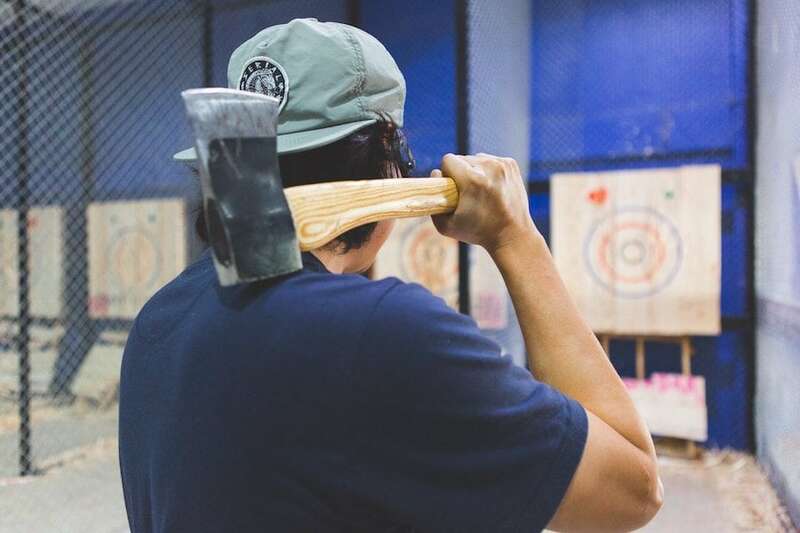 Bangkok now have it's first Axe Throwing club and it's the best alternative to kill the routine and try something different. Not that Shooting Guns or driving Karts isn't cool, but sometimes you need to shake things a little bit, and Axe Throwing is perfect for it. Coming straight from Canada, Golden Axe Throw Club is giving you the opportunity to throw Axes at a target and at the same time spend a good time with your friends. And most importantly, they have Craft Beers and Pizzas so you can eat and drink good things while you wait for your turn. If you ask us, it's the perfect spot to start a night out or recover when you're hangover. A bit of physical activity and craft beers never hurt anyone. And if you got more than 12 people, if you're here for a Bachelor Party, a special occasion or want to rent the whole place, drop us a message so we can plan something amazing for you. Can Anyone do it? Yes, anyone from 12 years old and above. They have instructors to show you how to do it safely. Can I go there with Flip Flops? No open shoes, for obvious safety reason. Should I book in Advance ? Definitely if you've got a group, don't take the risk to go there and find out it's fully booked and you have to drink beers the whole time instead, that would be terrible. Where is it located? In Lat Phrao, about 30 minutes drive from Sukhumvit area. But we can arrange party vans for your group if necessary. Can I bring my girlfriend/wife? We don't see why not, unless she's mad at you because a few nights ago you were in Soi 4 with... well, we leave that to your judgement. Let's Throw Axes in the Air !